A few weeks ago Matt and I hosted a Super Bowl party at our house. Everyone brought finger foods and I of course made the desserts. 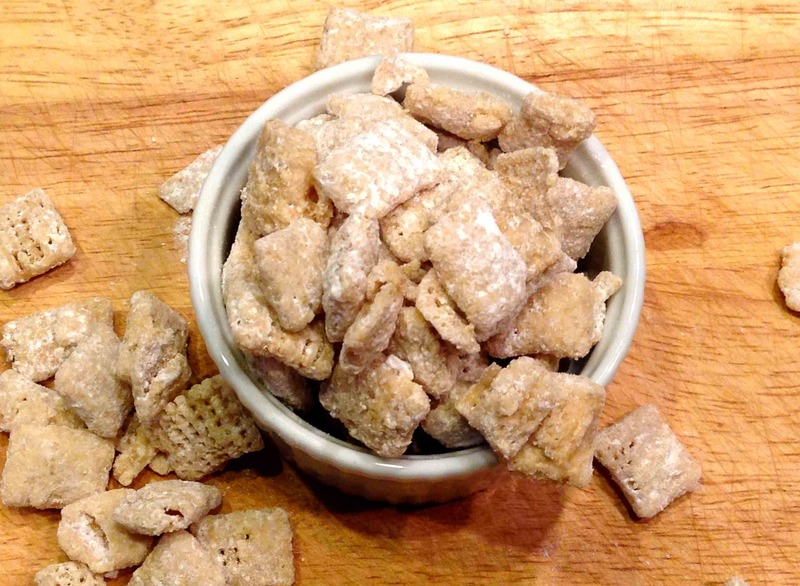 I had been craving Puppy Chow and was going to make it the old-fashioned way with semi-sweet chocolate chips, but I had leftover Vanilla Flavored Almond Bark from making the White Chocolate-Dipped Oreos, so I thought I’d change it up a bit. 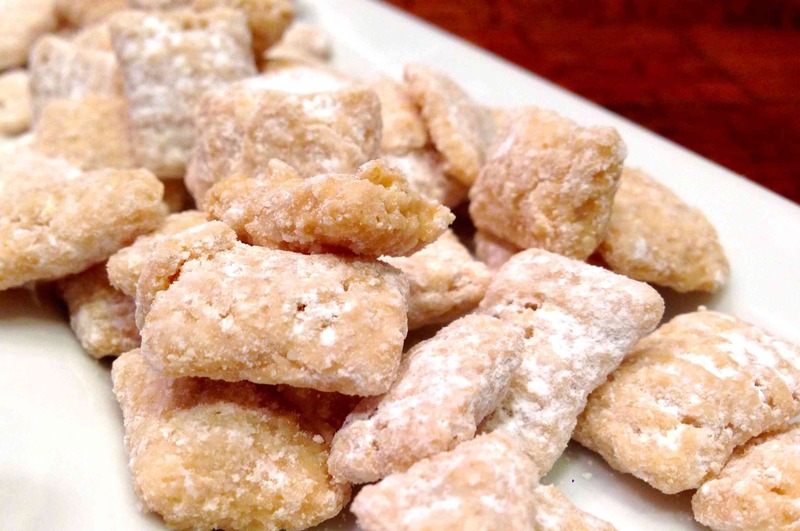 I actually made two batches of Puppy Chow: a regular chocolate version and a white chocolate version, and let me tell you…the white chocolate version blew the doors off the regular version! 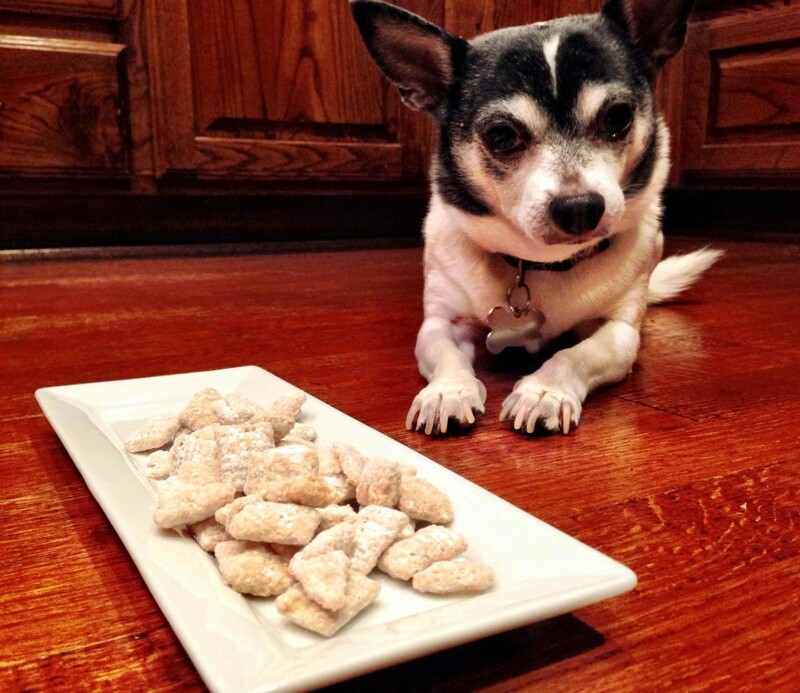 I can’t believe you don’t see more recipes out there using white chocolate because it makes the Puppy Chow much sweeter and creamier! This will definitely be my go-to recipe in the future. 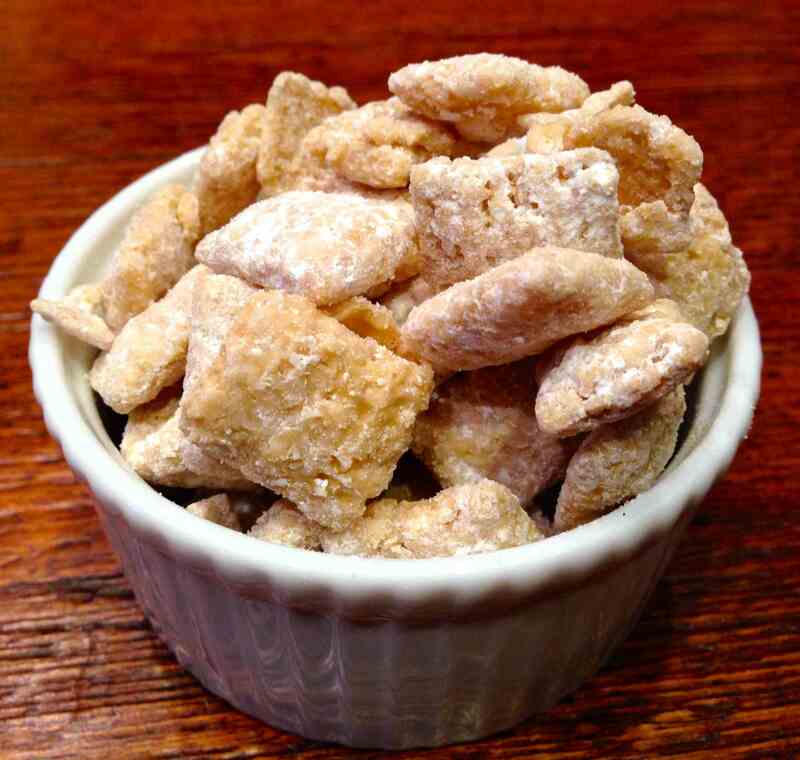 Combine the melted white chocolate with peanut butter and chex mix cereal. 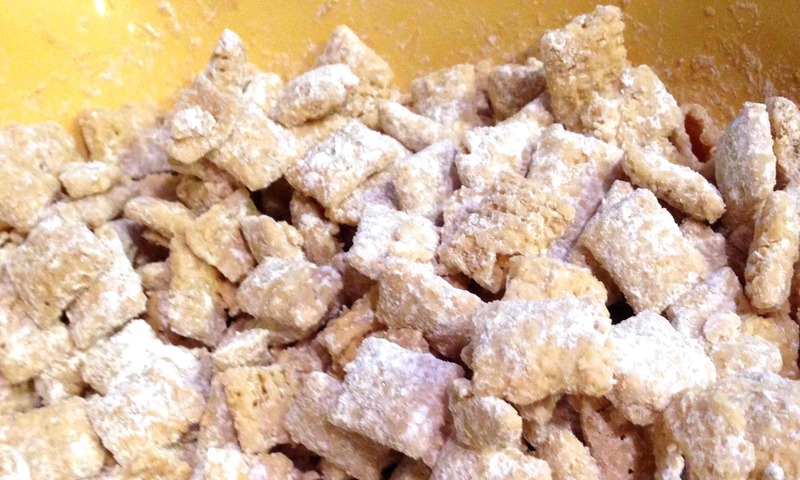 Toss with powdered sugar in a large bowl or plastic bag. As was mentioned in my post yesterday, Skippy is one good dog! During the “photo shoot”, he sat there patiently awaiting a little bite. I ate waaaay too much of this stuff, but it was well worth it. Enjoy!